Don’t let the name Christmas Cookie dissuade you from enjoying this drink any time of the year. It also doesn’t matter what holidays you do or don’t celebrate. The Christmas Cookie cocktail features peppermint schnapps, Kahlua and Irish cream. That makes for a very delicious little treat. Just be forewarned: it packs more of a wallop than you expect with three ounces of liqueurs. And it tastes a little like a peppermint latte, only much better. This makes a delicious dessert drink. It’s also good as a nightcap, for those of you who enjoy a sweet drink shortly before bed. As for ingredients, I recommend Carolan’s for the Irish cream because it has some distinct caramel notes that really work in this drink. 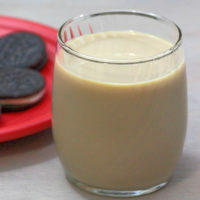 But of course there are all those holiday variations of Baileys which could also work well in this one. For the schnapps, you can buy whatever’s on sale if you like the sweetness of a typical peppermint schnapps. But if you’d like something more bracing and refreshing, try Mr. Stacks or Eis Minze. Don’t just stick with the best known or most popular liqueurs – there are a lot of good ones out there, and it pays to experiment. This is also a great cocktail to make with my Candy Cane vodka. That turns the color of the drink reddish, but it tastes at least as good as the peppermint schnapps, in my opinion. In fact, if you find peppermint schnapps a little on the heavy side, you’ll probably really like the Candy Cane vodka as an alternative. The Christmas Cookie is a definite contender for the cocktail you’ll be sipping on Christmas Eve, after all the shopping is done, and the presents are wrapped, and stockings are stuffed. It’s the perfect form of liquid congratulations for a job well done. Since this drink doesn’t have any actual chocolate flavor of its own, it’s great served with chocolate cookies, candies, or any other sort of chocolate treat. The cookies in the picture are Back to Nature’s version of Oreos, which I love. Chocolate is a great complement to both the mocha and peppermint flavors in the drink. And it’s definitely best served cold. You can either pour this one into a chilled glass, or you can chill your bottles beforehand. I actually prefer to chill the ingredients, myself. 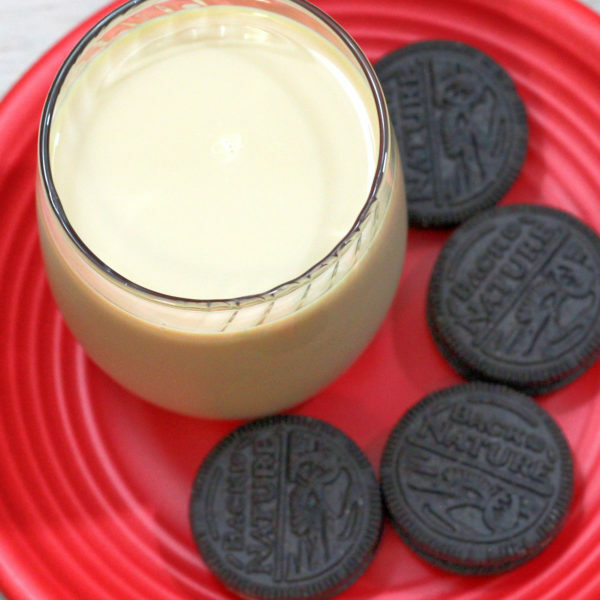 This rich, creamy drink has an incredible flavor. It blends Kahlua and Irish cream with peppermint schnapps for a flavor that's something like a chocolate mint coffee. If only real Christmas Cookies tasted this good! Pour in all three ingredients. Strain the mixture into the glassware of your choice. Delicious!! I posted a “like” to facebook. I’m actually enjoying a drink right now, it feels a bit strong at first but then you have that smooth peppermint after taste. I love it. So simple to make. Try using crushed candy canes for the rim! I find the peppermint schnapps a bit too much. The first time we made these, cut the schnapps to 1/2 ounce. Then we discovered Peppermint Mocha Kahlua! Works great and if you want more peppermint flavour, add a few drops of schnapps. Cheers! So glad you enjoyed the Carolan’s! This is one recipe that can be tweaked in a lot of ways, and never turns out bad! This makes a shot glass sized drink. Can milk be added to make it a larger, less potent drink? Yeah, that should be good!